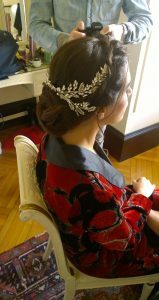 I had honor to style Turkish actress Şükran Ovalı on her wedding day when she married her football player Caner Erkin in Rome italy. 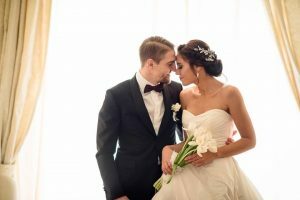 Wedding styling was made in city center in Grand Hotel Plaza. 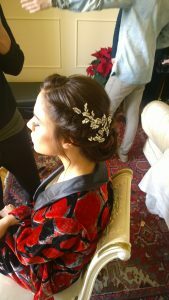 Hairstyle was designed according to beautiful head piece what Şükran had and her hair was restyled later to match with her evening dress. 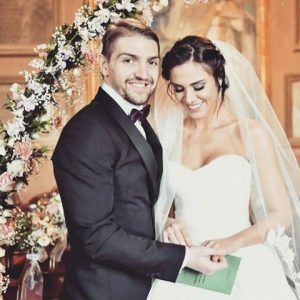 Futbolcu Caner Erkin ile Şükran Ovalı Roma’da evlendi.